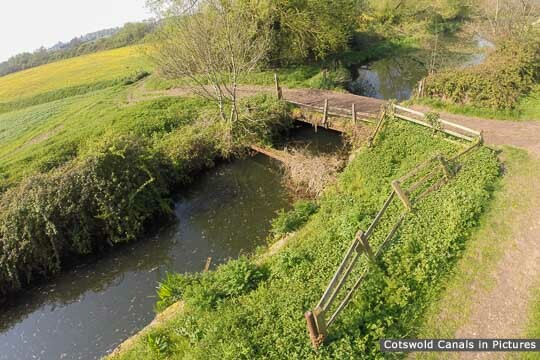 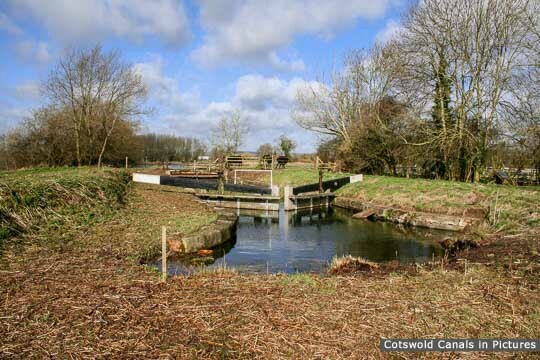 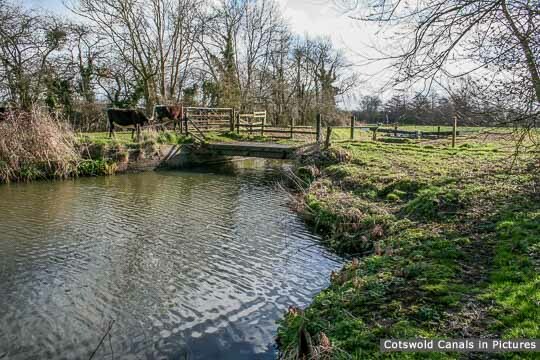 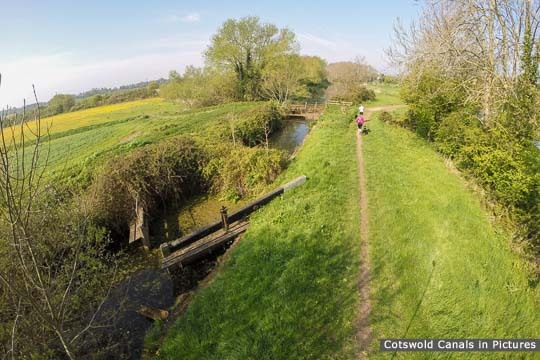 This was partly restored by the Cotswold Canal Trust in the mid 1990s. 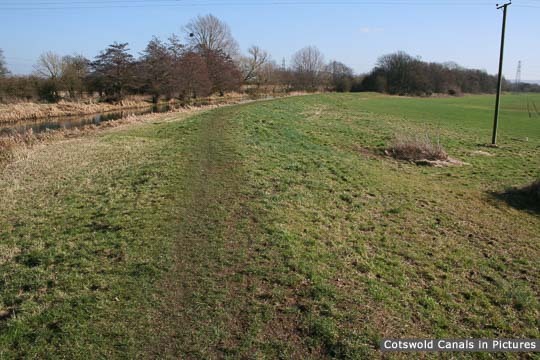 Just beyond the lock to the east is where a section of infilling begins. 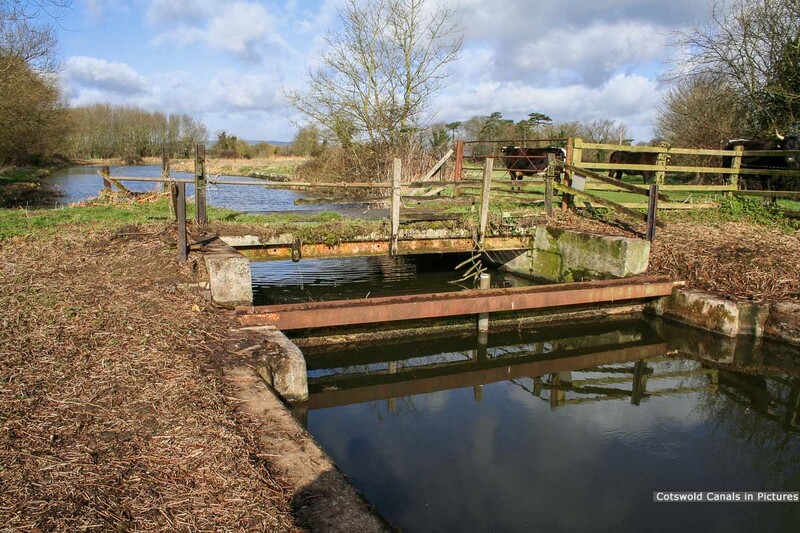 Whitminster Swing Bridge was at the head of the lock, where a Public Right of Way (EWH/21/3) crosses the canal. This area is now overgrown, and it is difficult to see the lock and bridge structures as clearly as depicted in some of the photos. Partially restored lock immediately to the east of the site of Whitminster Bridge. 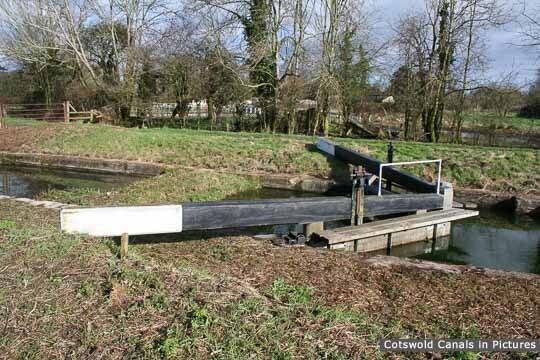 It was designed to cater for Severn trows and was about 16 foot wide and 68 feet long. 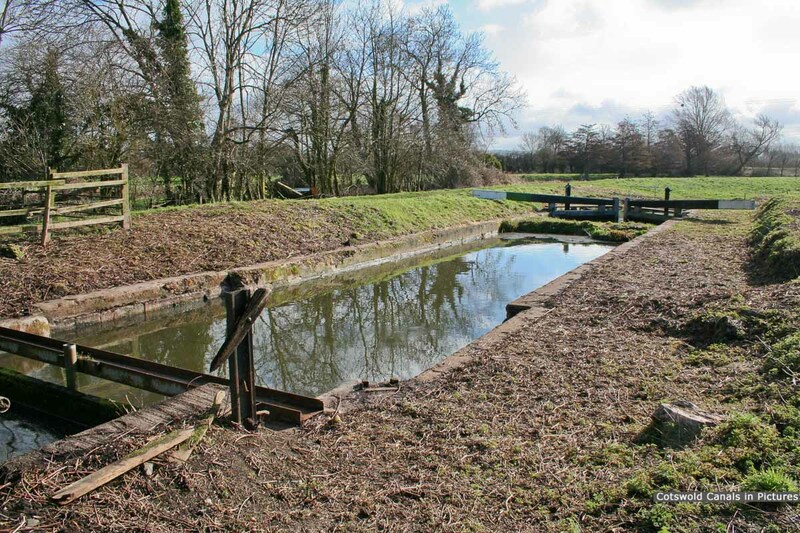 The lock originally had a rise of about 4 feet but this was radically reduced when the new Gloucester and Berkeley Canal was being built in the mid-1820�s. The pound below was diverted to the new junction at Saul and divided into two by the new Junction Lock. The upper section of the pound had to be raised on a low embankment. 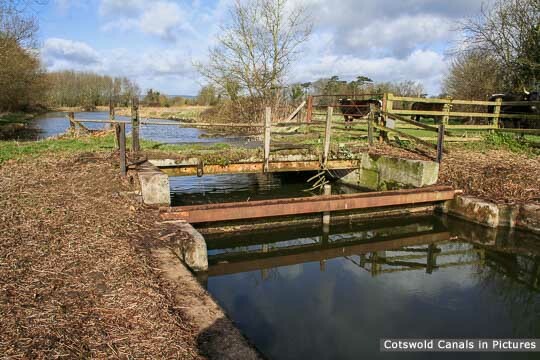 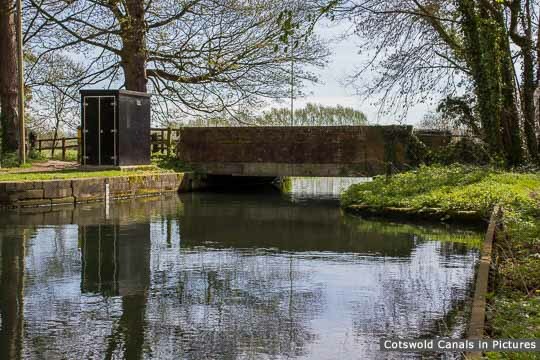 The lock is partly infilled and partly in water, the top gates having been replaced by the Cotswold Canals Trust in the mid 1990s. 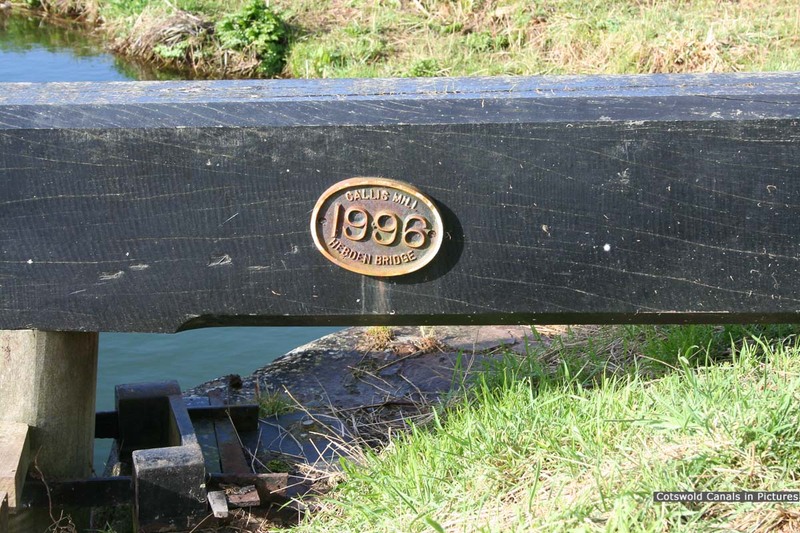 The gates are dated 1996 and were made at Hebden Bridge, Yorkshire, although the restoration was not completed.